Whether you want key or lock change in Toronto, contact us. Whenever you feel your security is compromised, depend on our company to cover your emergency needs 24/7. And if you ever decide to replace privacy lock sets or get high security locks, trust us for their installation. At Payless Locksmith Toronto, we service locks of all types. We change auto locks and any lock at your home and office. Call us to schedule a service today. With us, you pay less and get the job done accurately and quickly. When you are in need of emergency lock change, don’t hesitate to get in touch with us. We change locks very fast and come quickly to help you after burglaries or when your locks are damaged for any reason. Our emergency lock services also include key change and rekeying. We can rekey your locks when you move to a new property but are also available for emergency services. Did you ever lose the key and feared that someone will find it and use it to enter your home? This is the exact reason why we offer lock rekey and cut a new key instead of simply replacing the original one. But if you ever need help with lock problems, you can still count on us. Let’s say there is a clicking sound when you are locking the door. In such cases, it’s best to call our techs for lock repair. 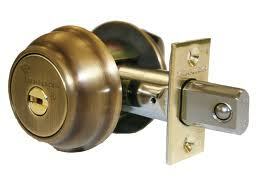 We can fix locks fast and possibly prevent worse damage and thus lockouts. Turn to our company if you want to increase security and thus avoid problems along with burglaries. We offer lock installation and can install all types of locks. Our techs are experienced with all home and commercial high security locks – whether mechanical or electric. Need assistance before choosing locks for your office or house? We can help and guarantee the best deadbolt installation service in Toronto, Ontario. Want to replace the cabinet locks at home or office? Want to replace window or sliding door locks? If the existing locks are not reliable or have been damaged, call us to replace them. From mailbox locks to office internal door and home privacy locks, our experts can replace them all. Change your life by increasing security with our help. Call us for any lock change Toronto service today.